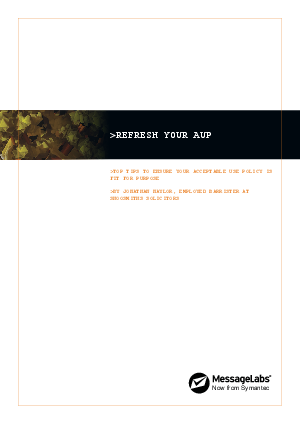 Does your email and web Acceptable Usage Policy (AUP) need a refresh? Shoosmiths Solicitors and MessageLabs combine to provide you with some top tips to ensuring your policy is fit for purpose. Click here.